As a child, Clara K. Johnson’s interests were drawing, coloring, and the solar system. When I met her almost two years ago at a Triangle Creative Capital retreat, that sense of whimsy lit her personality, and spoke to me through her art. A self-trained artist originally from Rochester, New York, growing up she spent summers in Wendell, North Carolina, with her father’s parents. Having helped her late father with wood work projects growing up, she credits him and her late maternal grandfather, Benjamin R. Harrison, the creator of Johnson C. Smith University’s mascot, “The Golden Bull,” in Charlotte, as influences on her art. RELATED: The Art of Being You: 4 Steps to Finding Your True Self. Photo by Loney Johnson, My Focus On You Photography. I approach my work with the idea of creating something beautifully complex to draw the viewer in, around and through the piece, transporting them elsewhere. My work is abstract, depicting celestial movements, or landscapes of textures and colors. As for personal inspiration, she cites, “The sheer awe of life, nature.” And it’s true. Johnson’s curiosity about life and beyond it lurk at the edge of her personal exploration of life, thus her art. Johnon’s current exhibit, Rock. Paper. Scissors. at Manbite’s Dog Theater on Foster Street in Durham can be seen until 5 March. RELATED: Spirituality, Meditation, and Rituals: Nine Natural Sacred Sites in the Triangle. Connect with her on Facebook, and find more of her artwork at BluStar Studio, and Fine Art America. 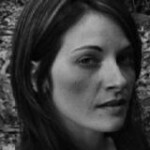 Kelley Harrell is a bestselling author in Fuquay-Varina, North Carolina. A lifelong intuitive, she has worked with a local and international client base soul tending since 2000. Find her blog, Intentional Insights, at Soul Intent Arts. All my articles.